Published: Jul 1, 2015 · Modified: Nov 18, 2018 · By Jen Sobjack · This post may contain affiliate links. 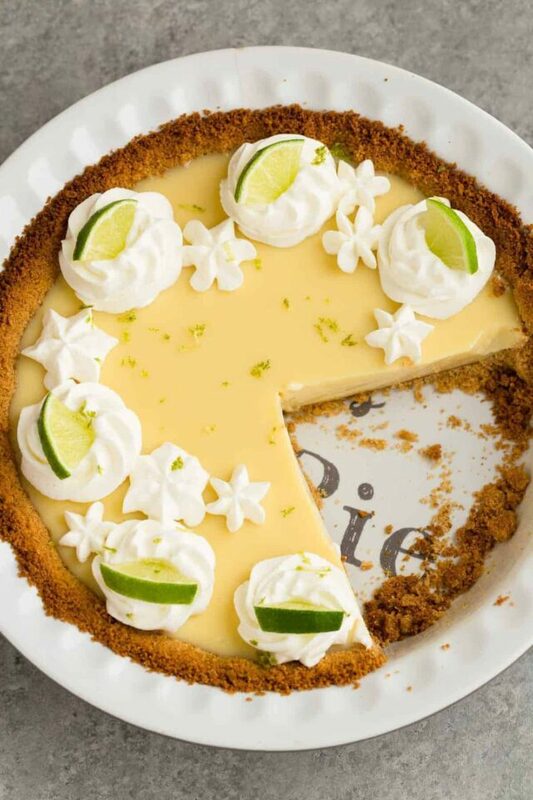 This lime pie features the perfect balance between sweet and tart with a cool, creamy texture. 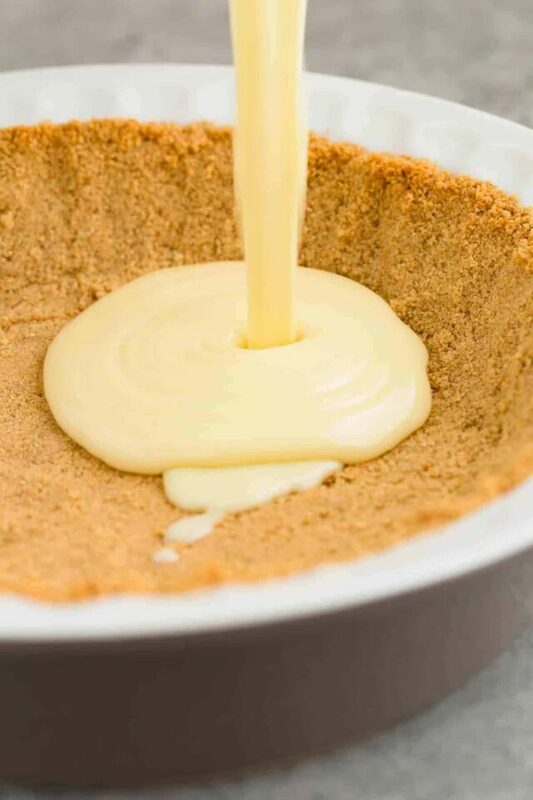 The filling requires only 3 ingredients and sits on top of a buttery graham cracker crust. 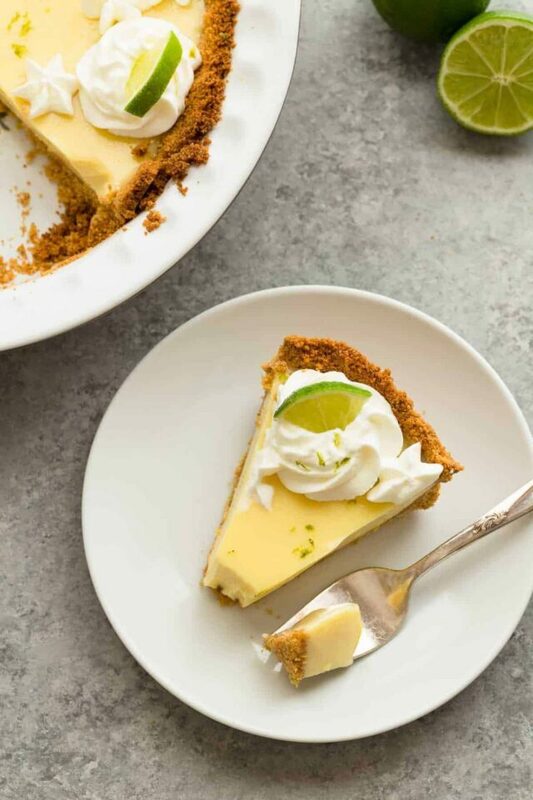 One of the most requested recipes during the summer is key lime pie. Have you noticed this? Early last year I made this key lime pie. 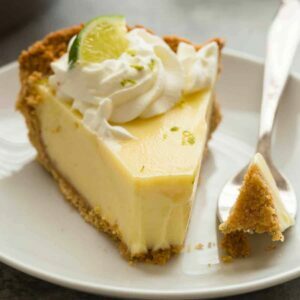 It has a cream cheese base which makes it slightly different than a traditional key lime pie. And while this is a great recipe, I wanted to play around with different options. I introduce to you this lime pie, which uses regular limes and no cream cheese. Made with only three ingredients, this is one of the easiest fillings you will ever come across. 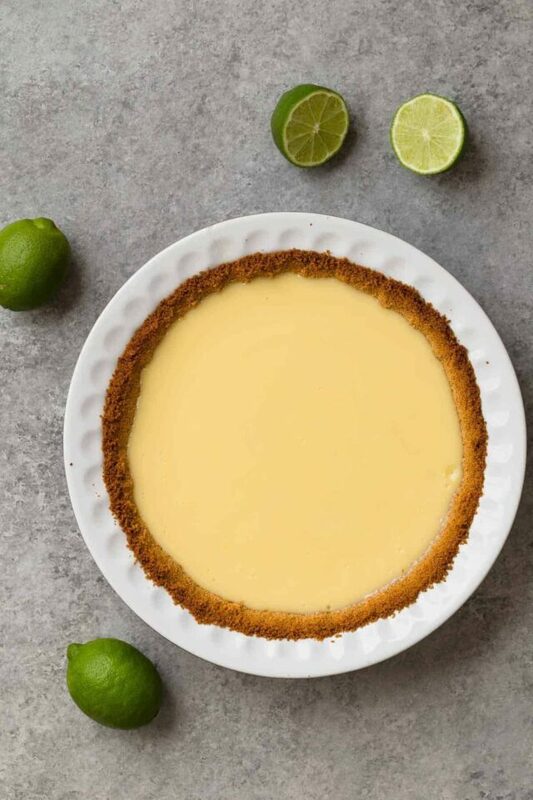 Lime juice, egg yolks, and sweetened condensed milk get whipped together to make a sweet, tart, and ultra-creamy custard-like filling. The filling rests over a buttery graham cracker crust that is baked until crisp. The crunchy texture of the crust in contrast to the cool creamy filling will have your taste buds dancing. While the process to make the pie is fairly easy, you still need to allow plenty of time for the pie to set. I suggest refrigerating it for at least three hours. The crust needs to prebake for about 10 minutes before the filling is added. Then the entire pie bakes for an additional 15 to 20 minutes. You’ll know the pie is done when it’s only slightly jiggly in the center. You can top the pie with any garnish you desire. I like to use homemade whipped cream and lime zest on my lime pie. 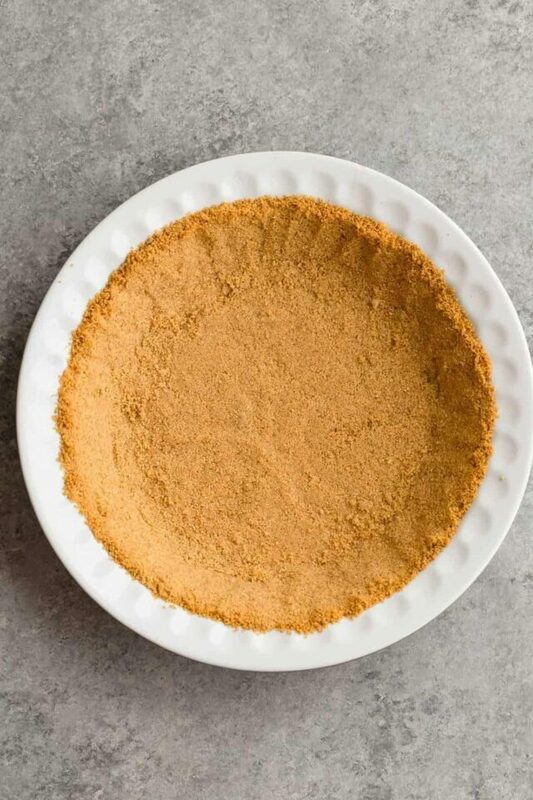 Combine the graham cracker crumbs and butter in a 9-inch pie pan. Stir together until moistened and press firmly into the bottom and up the sides of the dish. Bake for 10 minutes. Let the crust cool completely on a wire rack, about 30 minutes. In a large bowl, whisk together the sweetened condensed milk, egg yolks, and lime juice until smooth. Pour the filling into the prepared crust. Baked the pie for 15-20 minutes, or until the edges are set, but the center remains jiggly. Cool for 1 hour on a wire rack. Refrigerate for 3 hours or until set. Top with whipped cream, lime slices, and lime zest if desired. The required time for the pie to chill and set is 3 hours. Save some time by making the pie a day before you plan to serve it. Adapted from Dessert Now, Dinner Later. I think they call corn syrup golden syrup on the U.K.
Do you think this could be used as a filling? If not then what do you recommend? I make a pineapple cake and would love to find a key lime filling recipe that is firm enough for a 3 layer cake. I’ve never attempted to use pie filling as a cake filling. But I would assume it would work okay. The filling will still need to be cooked and then chilled as directed in the recipe before layering it over the cake. I’m certain you will find this recipe to be a keeper! That is a pretty pie! Love the lime garnish. so refreshing! It is very easy to do just that! I love lime desserts! This looks so delicious and I love that there’s not a crazy amount of ingredients to it too! Thanks so much, Danielle! Simple is best sometimes. Can I use key lime juice and make this a key lime pie? You certainly could! Lemon would be a great substitute also! Key lime pie is totally my weakness! Um, especially ones that call for only FIVE ingredients! What?? This pie looks so luscious and creamy, Jen! I want a slice asap! I know! It’s too easy! Thanks, Sarah! Thank you, Chineka! Things are always changing around here. I think I’m finally done tinkering with the site though. Wow, only 5 ingredients! 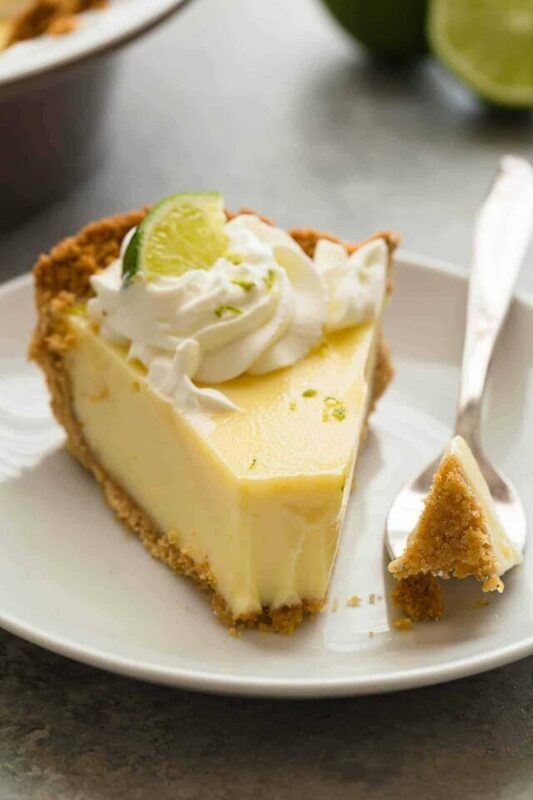 I can’t get enough of lime and would love a slice of this pie! I need to check that out, Manali! I bet lemon is just as good! Lovely photos and I’m obsessed with the minimal ingredients 🙂 Pinning! You’re sweet, Medha! Thank you! It looks gorgeous and so easy to make! Pinning! This pie is so beautiful, Jen! Citrus desserts are my favorite! I love that there are only 5 ingredients in here too! What a beautiful pie! Love how easy it is! This pie looks just gorgeous, Jen! I’m loving that it only contains five ingredients. You just can’t get much better than that. And the lime flavor just screams summer to me! Yum! Simplicity at it’s finest! Thanks, Gayle!